Why did God come into the world? Why did the Son of God take on human flesh and walk among us? Did Jesus Christ come to educate us? No, better professors is not what we needed. More knowledge and better technology will not change hearts and establish justice. Did Jesus come to bring “peace on earth”? Yes, peace to those who receive him as Lord and Savior, but not to those who reject his claims upon their hearts. Jesus declared, “Don’t imagine that I came to bring peace to the earth! I came not to bring peace, but a sword” (Mt 10:34 NLT). Loyalty to Jesus will bring strife and division as people receive or reject Jesus’ calling on their lives. Did Jesus come to militarily overthrow oppressive governments that subjugate their peoples? At the second coming, Jesus will return in power and great glory to judge the nations. However in the first century, Jesus’ arrival exposes humankind’s greatest problem: selfish and corrupt hearts. Why did God come into this world? Only the scriptural answer will suffice: the second person of the Trinity has been born because he loves the world. But why did he come this way, as a little baby? Why did he choose to lie in a manger and be cared for by a human mother, with the sweetness but the utter weakness of a newborn babe? He came this way because he came to meet the central need of men. He did not come to overthrow the Romans, though a lot of the Jews would have loved that. If he had, he would have come riding on a great conquering steed. The central reason he came was not to raise the living standards of the world. Surely if modern man were going to vote on the way he would like a messiah to appear, he would want him loaded down with moneybags from heaven. He did not come primarily to teach and relieve ignorance—perhaps then he would have come laden with books. An angel had revealed to Joseph the primary task for which he came: “Thou shalt call his name JESUS; for he shall save his people from their sins” (Matt. 1:21). He is here to cut the nerve of man’s real dilemma, to solve the problem from which all other problems flow. Man is a sinner who needs an overwhelming love. 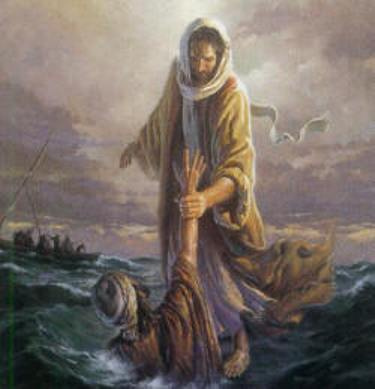 Jesus has come to save his people from their sins. Francis Schaeffer, “Seeing Jesus With the Shepherds,” Come, Thou Long Expected Jesus, ed., Nancy Guthrie (Wheaton, IL: Crossway Books, 2008), 105. This entry was posted in Christmas, Francis Schaeffer and tagged Christmas, Francis Schaeffer on December 26, 2010 by GlennDavis. Compromise or Hardness of Heart: Is That Our Only Choice? We tend to cast God in our own image. We can only experience one thought, one feeling, or carry out one act at a time (Psalm 121). We often assume that since we are limited than God must be so constrained. However, God can be merciful and holy at the same time (Exodus 34:6-7). He can be gracious and righteous simultaneously. The Lord can be loving and performing judgment in the same act. Believers, and non-Christians, tend to emphasize one character attribute of God over and against his other qualities. We focus on love while ignoring to need to walk in the Spirit and obey the clear dictates of scripture (Gal. 5:16). Or, we emphasize the commands of God without acknowledging the Lord’s graciousness that enables us to obey. However, this either/or kind of Christian is a false dichotomy. Love without compassion or righteousness without mercy are not our only choices. As Christ lives in us, we trust his Holy Spirit to make Christ known in and through us. As we keep in step with the Spirit (Gal. 5:24-25), we will understand when to have compassion on the hurting and when to take a stand on God’s law. As believers, there is no need to compromise Christian conviction and no requirement to be hard hearted enforcers of God’s law. We can act in love and holiness at the same time because a loving and holy God lives in us (John 16:12-14). If we stress the love of God without the holiness of God, it turns out only to be compromise. But if we stress the holiness of God without the love of God, we practice something that is hard and lacks beauty. And it is important to show forth beauty before a lost world and a lost generation. All too often young people have not been wrong in saying that the church is ugly. In the name of our Lord Jesus Christ we are called upon to show to a watching world and to our own young people that the church is something beautiful. Several years ago I wrestled with the question of what was wrong with much of the church that stood for purity. I came to the conclusion that in the flesh we can stress purity without love or we can stress the love of God without purity, but that in the flesh we cannot stress both simultaneously. In order to exhibit both simultaneously, we must look moment by moment to the work of Christ, to the work of the Holy Spirit. Spirituality begins to have real meaning in our moment-by-moment lives as we begin to exhibit simultaneously the holiness of God and the love of God. Francis A. Schaeffer, The Church before the Watching World (Downers Grove, 1971), 63. 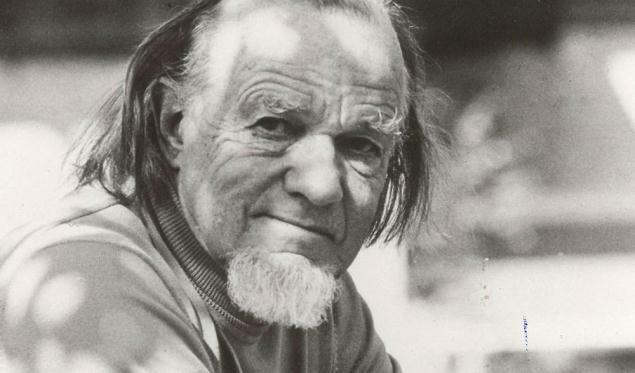 This entry was posted in Francis Schaeffer, God's Love, Sanctification and tagged Francis Schaeffer, God's Holiness, God's Love on August 27, 2010 by GlennDavis. And this is the eternal life, that they should know thee, the only true God, and Jesus Christ whom thou hast sent. Twenty years ago, I read True Spirituality by Francis Schaeffer and there found a friend and a true spiritual guide. Schaeffer’s book taught me that the effects of this fallen world are still with us and will continue to be with us till the Second Coming of Christ. Perfection in personal holiness, absence of trials and troubles, and faultless behavior from others cannot be expected this side of eternity. Substantial healing in this life can occur, but pre-Fall conditions cannot be anticipated until we see Christ arriving in the glory clouds. What does this doctrinal truth of the Fall do for us? Understanding the problems created by the Fall properly frees us from personal perfectionism, unreasonable expectations of others, and unrealistic standards. This side of heaven, we expect to experience struggles, disappointments, and shortcomings. With the effect of the Fall acknowledged, we are freed to enjoy Jesus. We can trust him with the up’s and down’s of life without bitterness, anger, and resentment. We wait for the resurrection of the body. We wait for the perfect application of the finished work of Christ for the whole of man. We wait for this, but on this side of the Fall, and before Christ comes, we must not insist on “perfection or nothing,” or we will end with “nothing.” And this is as true in the area of psychological problems as it is in all other areas of life (p. 136). Second, Schaeffer taught me that walking with Jesus is not a formula. The Christian life is on-going, intimate, personal relationship with Jesus Christ. Schaeffer taught that a relationship with Jesus is not about taking orders, but is a love relationship with the one who loves you most (John 15:15). True spirituality is not a hyper-spirituality: both feet are planted firmly on earth while looking to Christ who is seated at the right hand of the Father (Col. 3:1-4). The Christian life, true spirituality, can never have a mechanical solution. The real solution is being cast up into moment-by-moment communion, personal communion, with God himself, and letting Christ’s truth flow through me through the agency of the Holy Spirit (p.88). Last, victory over sin is possible in this life while admitting that moral perfection is not obtainable till the next life. Victory over sin is not achieved by our own power. We stand trusting Christ’s finished work on the Cross as our victory over the values of the world, the temptations of the flesh, and the wiles of Satan. We are empowered by the Holy Spirit to say,”no,” to ungodliness and we are strengthened by grace to say, “yes,” to righteousness (Titus 2:11-12). True spirituality is not achieved in our own energy. . . . It is not that I disappear. I am very much in existence. However, as finite and marked by the Fall, I cannot do the Lord’s work in the lost abnormal, broken world in my own energy, my own cleverness, my own persistence, “charisma,” my own spiritual gifts and so on. I am there, but I must not count on these things as the source of power. Consciously, the power must not be of myself. It is the power of the crucified, risen, and glorified Christ, through the agency of the Holy Spirit, by faith (p. 253). Francis A. Schaeffer, True Spirituality (Wheaton, IL: Tyndale House, 1971). This entry was posted in Francis Schaeffer, Sanctification and tagged Francis Schaeffer, Sanctification on May 8, 2010 by GlennDavis.